You may or my not already know, but World Gin Day is fast approaching and we’re ready to celebrate on Saturday 11th June 2016. To coincide with this, we’ve got a great competition to win a pair of copa style Gin and Tonic glasses from Schott Zwiesel! These Spanish style gin glasses offer a great Gin drinking experience and allow you to add lots of refreshing garnishes and plenty of ice so you can enjoy your Gin to the max! How do I enter the Wineware Competition? Once you’ve done one of the above, sit back and enjoy #WorldGinDay and we’ll contact the winner the following week! The Wineware #WorldGinDay competition ends midnight 11/06/2016. We will contact the winner of the competition the week commencing 11th June 2016. To find out more regarding #WorldGinDay, check out the WorldGinDay website and the Gin Monkey Twitter page for more information, find some great Gin tastings and inspiration! I would love these glasses! 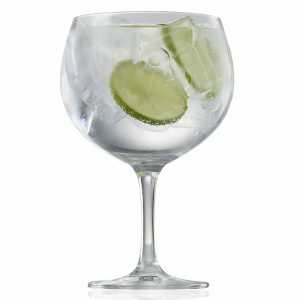 Love gin and tonic and would love to drink them from these glasses! #WorldGinDay is also my Birthday! Bombay Sapphire with campari and soda. Forest Gin made in my local forest in Macclesfield with tonic & a slice of lemon. Struggling round the M25 on the way to Devon where a fine selection of beverages awaits. Happy World Gin Day!